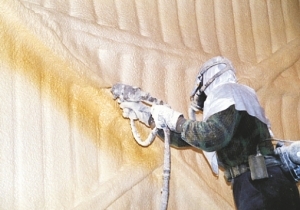 Techniques for spray-application of various types of coats has been known for many years and have been successfully used wherever advantages of such coats are beneficial over coats applied using other methods. 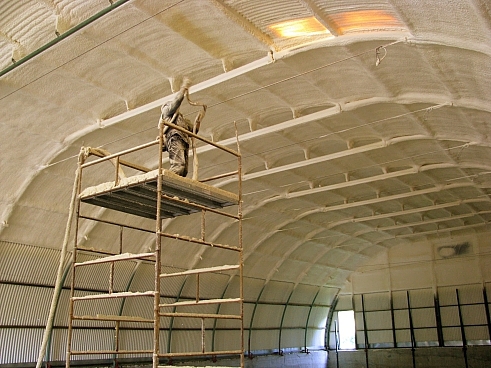 The coat, which is applied in multiple layers, constitutes an optimal, seamless thermal insulation layer. 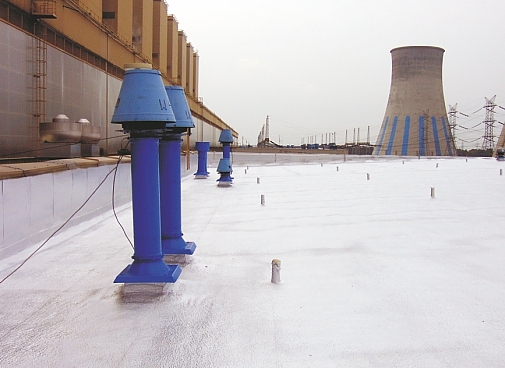 The ability to apply it onto pre-insulated surfaces eliminates the need to install closed-pore insulations and eliminates thermal bridges. 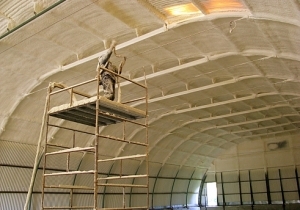 It can be readily used for overhauls of existing objects as well as in newly-built ones. 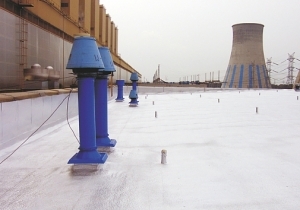 - ability to cover surfaces with varying textures and shapes, which directly translates to operational properties of resulting coats. 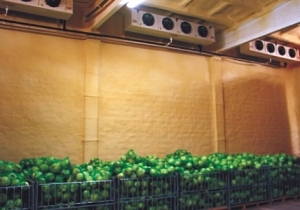 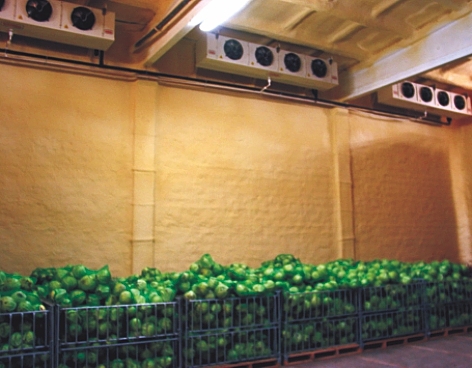 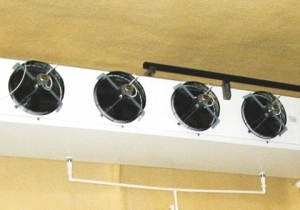 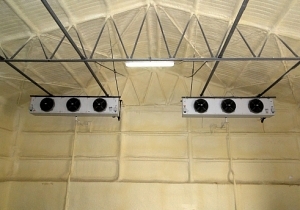 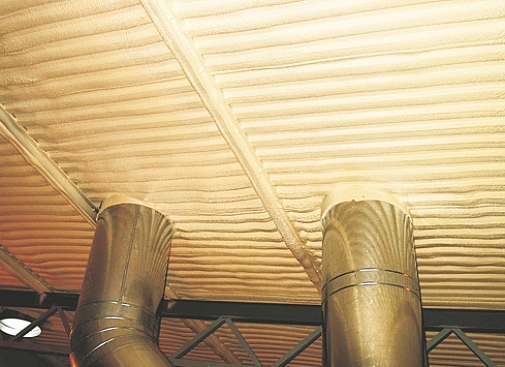 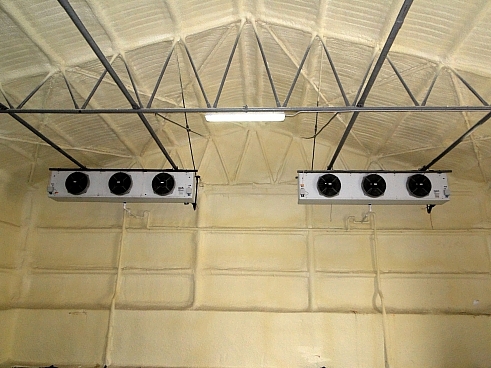 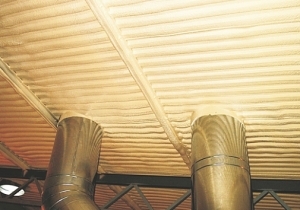 - very high tightness (freezing chambers with controlled atmospheres), meets requirements of anti-condensation coats. 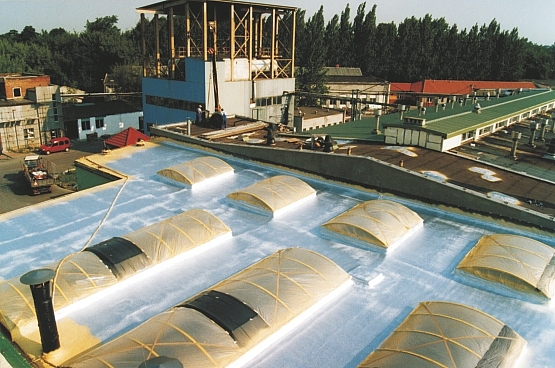 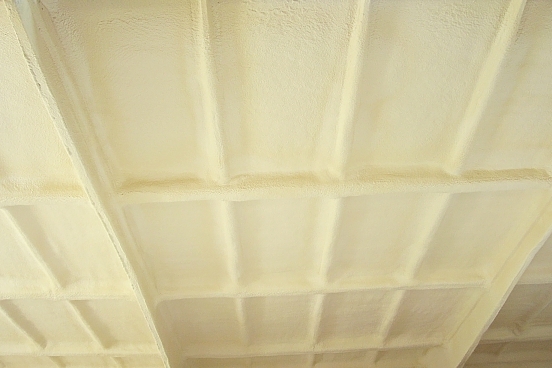 Polyurethane foam systems we have been using, have necessary approvals and certificates. 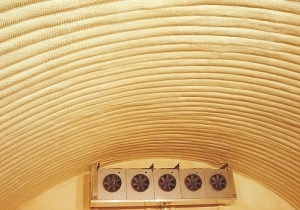 We are members of the Polish Association of PUR and PIR Polyurethane Insulation Manufacturers and Processors (Polski Związek Producentów i Przetwórców Izolacji Poliuretanowych PUR i PIR). 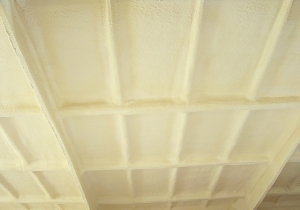 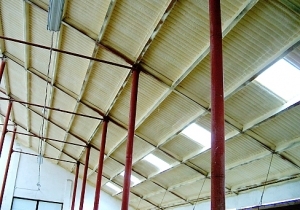 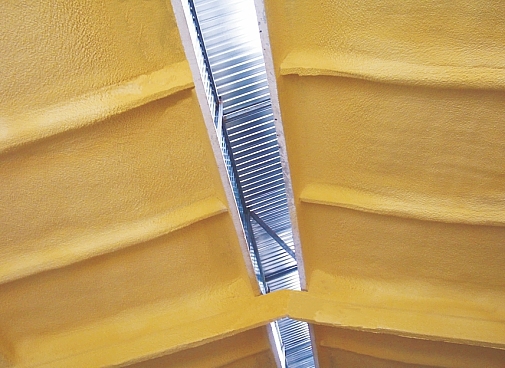 Thick polyurethane foam spraying can be successfully used for application of thermal insulations on roofs and flat roofs, where the layer of the cured foam ensures water tightness at the same time. 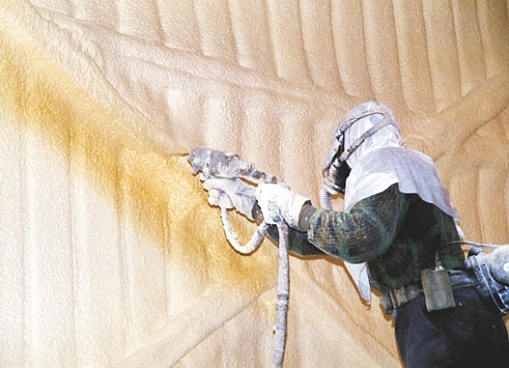 The process of insulation and sealing occurs concurrently in this case. 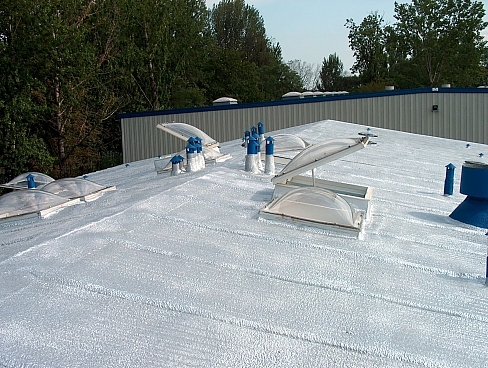 Insulated roofs must have the minimum slope of 3%, which will allow for free drainage of water from the roof structure. 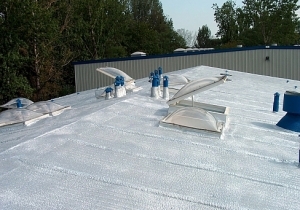 However it shall be noted here, that with appropriate foam spraying one can also reduce all that spots on the roof slope, where due to structural deficiencies water tends to accumulate, affecting roof tightness. 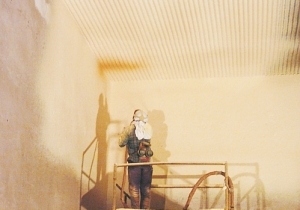 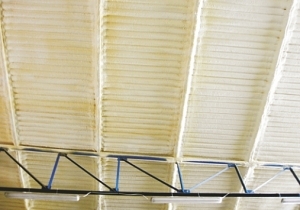 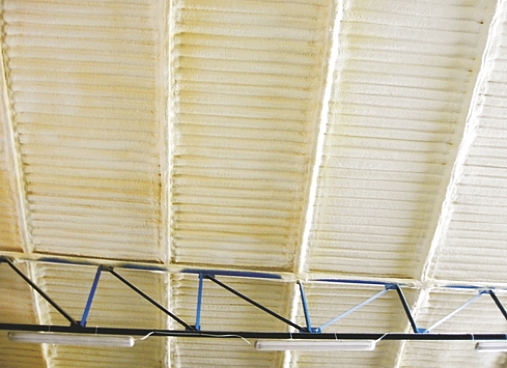 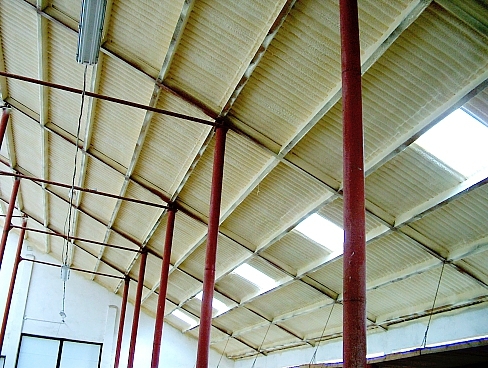 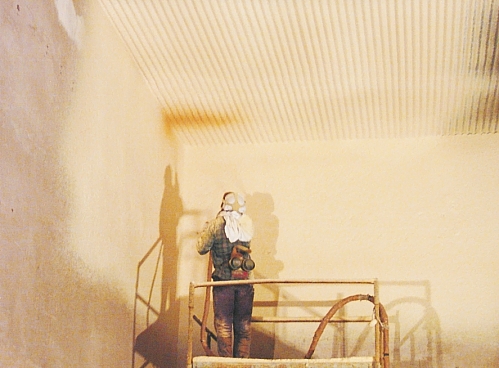 The spraying method has been gaining in popularity with repairs of old roofs, in particular on industrial objects, as such roofs can be coated without the need to remove the existing, old coating. - additional stiffening of structural components. 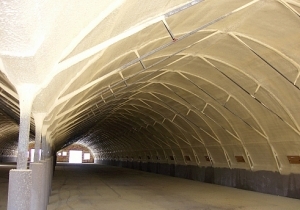 Sunlight (UV rays) is the factor, which is has the most significant (destructive) impact on the polyurethane foam. 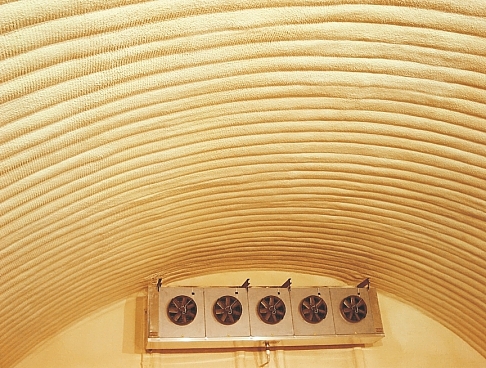 Therefore such coats shall be additionally protected with a special protective coat.